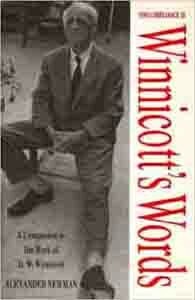 Since Winnicott’s death in 1971 there has been an increasing demand for opportunities to study his writings. This book is neither a textbook nor a critical dictionary but it can be used as both. Its main purpose in the fullest sense is to allow the reader to enjoy studying Winnicott’s texts. The book is aimed at anyone, or any group who needs an aide memoir for work: a psychotherapist’s and a counsellor’s handbook. What has this book got to do with script writing. Very little. Written by Alexander Newman, now sadly deceased, it’s inclusion is a nod of respect to a great person.